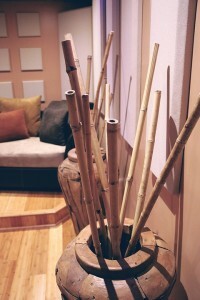 Recording is about to begin on Newvelle Records’ fourth season, and this time…they are using Nordost cables! 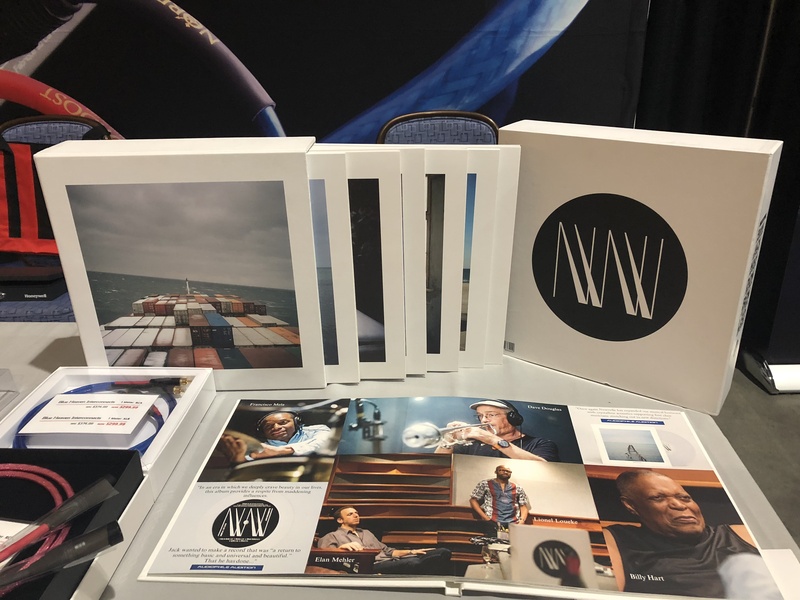 Newvelle Records is an exciting new company that produces original, high quality, vinyl recordings, which are distributed as seasonal subscriptions. 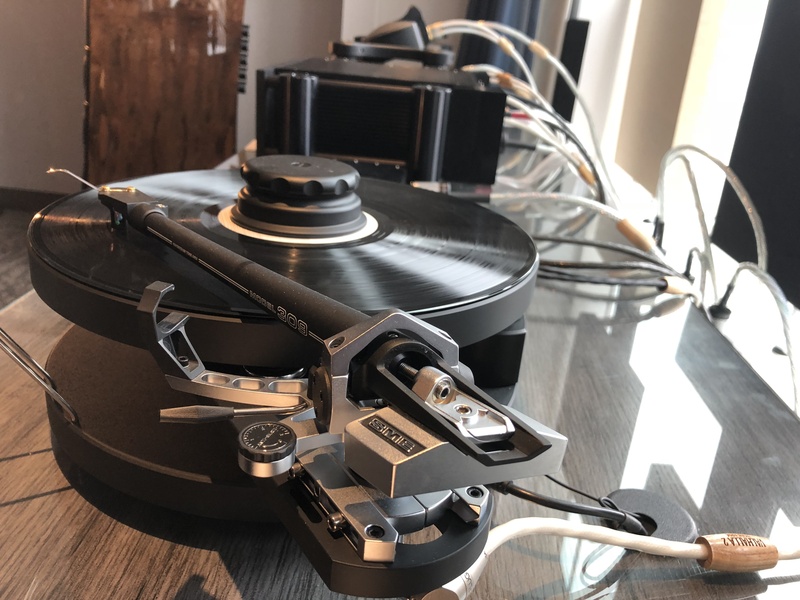 The collaboration between Nordost and Newvelle Records, announced in December 2017, is a natural fit, joining two companies whose love of music drove them to go to great lengths in order to achieve the same goal: high fidelity sound. 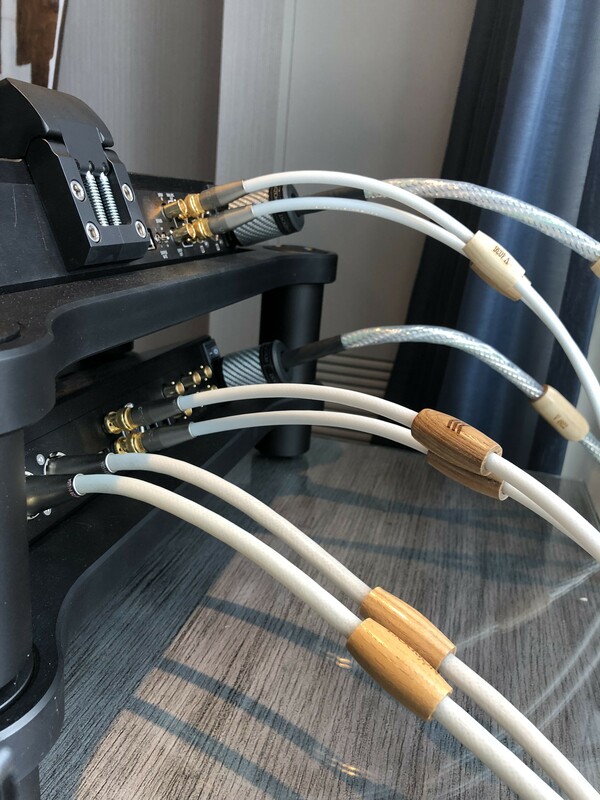 Nordost cables have set up permanent residency in Manhattan-based recording studio, EastSide Sound, and are burned-in and ready to capture some great jazz. 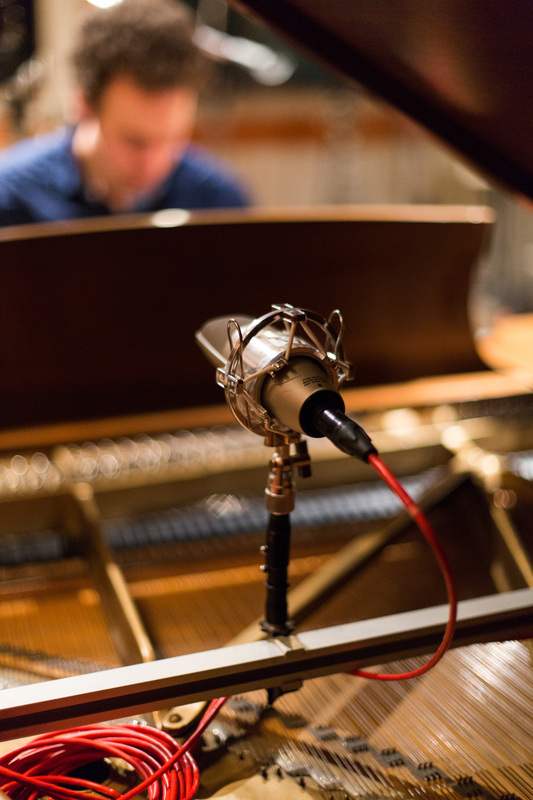 Newvelle’s fourth season will feature artists such as Steve Cardenas, Lionel Loueke, Bill Frisell, Skúli Sverrisson, Francisco Mela, Jason Palmer, Andrew Zimmerman, Dave Douglas, Kevin Hays, and Thomas Morgan. 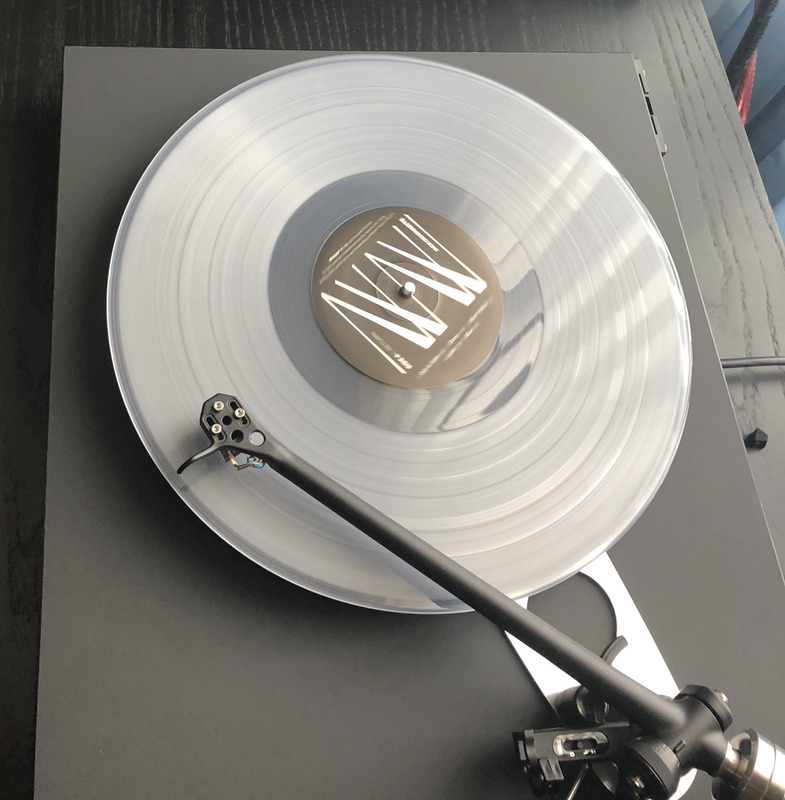 In celebration of our collaboration and the commencement of their fourth season, Newvelle Records is offering an exclusive gift: For every box set purchased, customers will receive a complementary pressing of Piano Noir! To receive your free copy of Piano Noir, shop for your box set HERE and enter promo code “Nordost” at checkout. 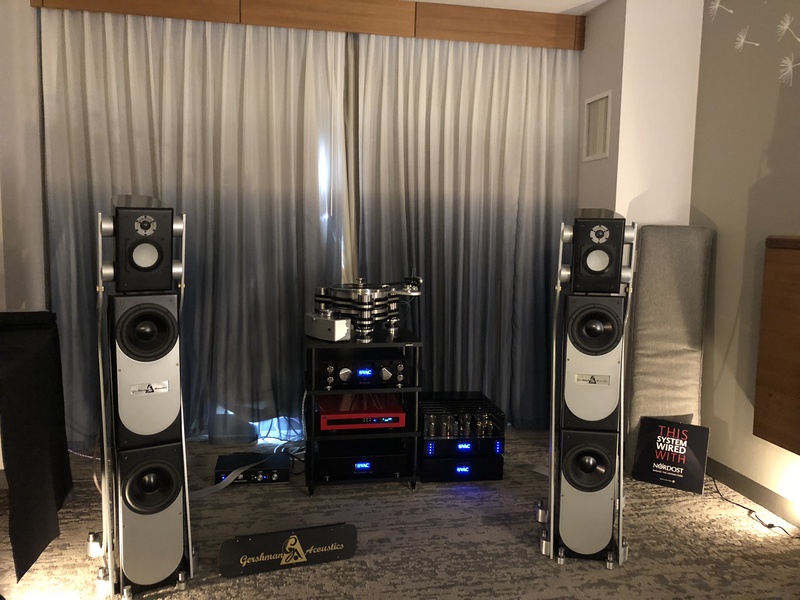 Axpona was a tremendous success! Nordost cables were featured in eight rooms throughout the show. 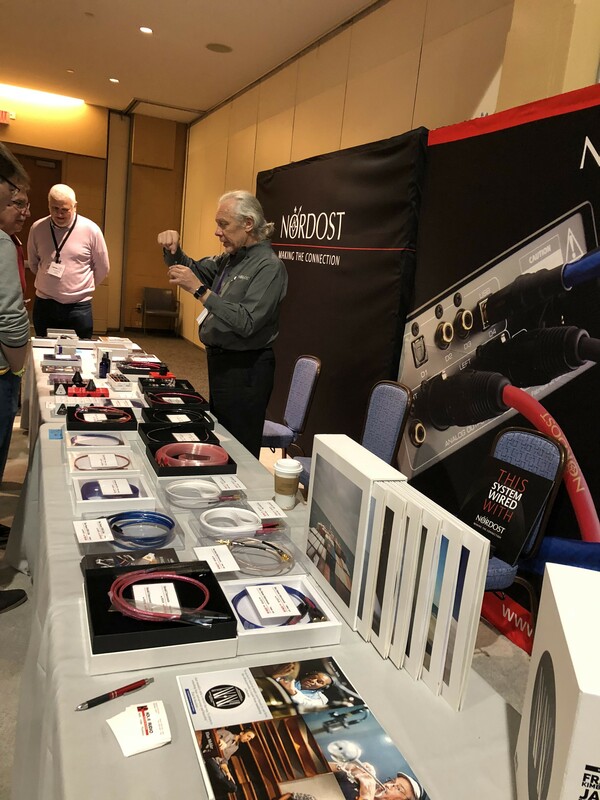 Nordost fans were happy to see we had everything on display this year, from our introductory Leif cables, to our Supreme Reference, Odin 2 range. 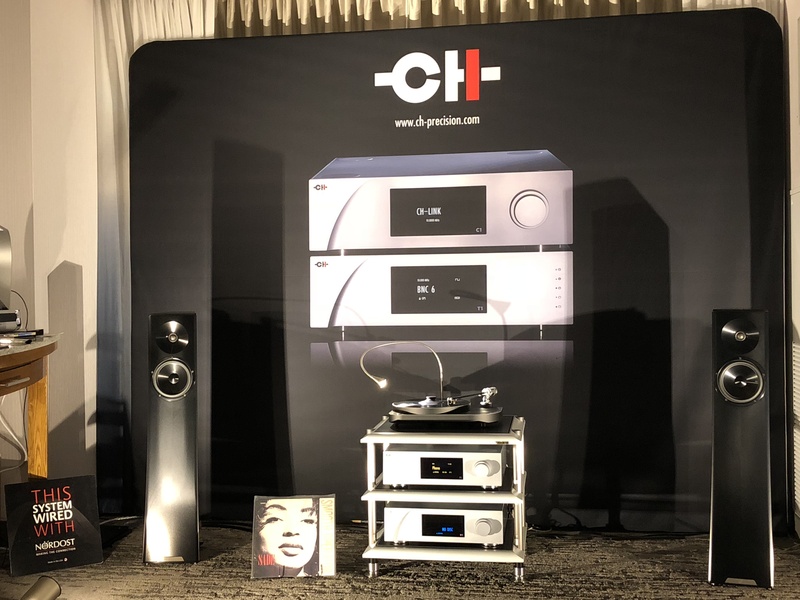 We want to give a big thank you to all of our industry friends, CH Precision, Raidho, Nola Speakers, Cambridge Audio, Gershman Acoustics, Sonner Audio, and especially our fantastic Chicago-based dealer, Holm Audio, for all of the wonderful support. 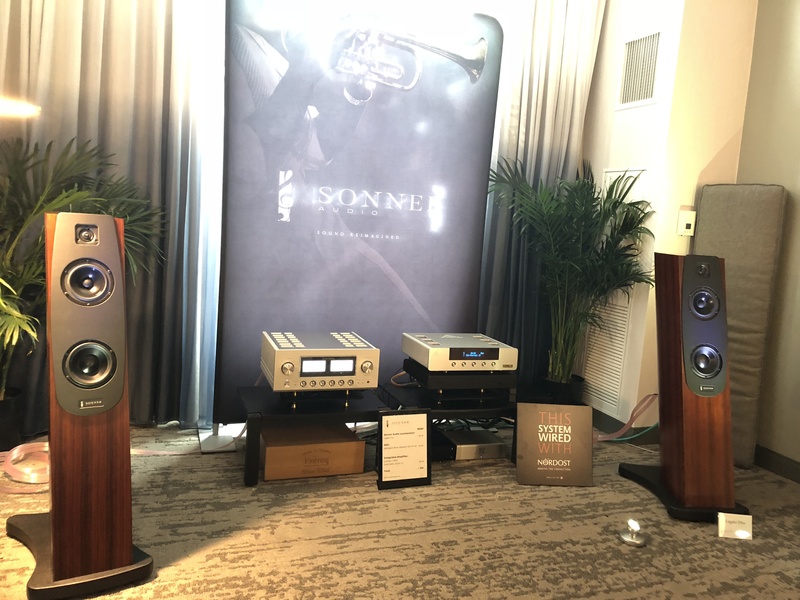 For those of you who didn’t get a chance to hear these spectacular systems in person, we hope you enjoy some pictures from this great event! 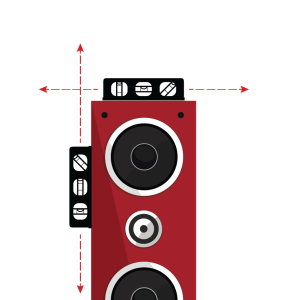 Make sure your loudspeakers and electrical components are as level as possible. Be precise. Stability is critical to performance too— it makes a big difference! 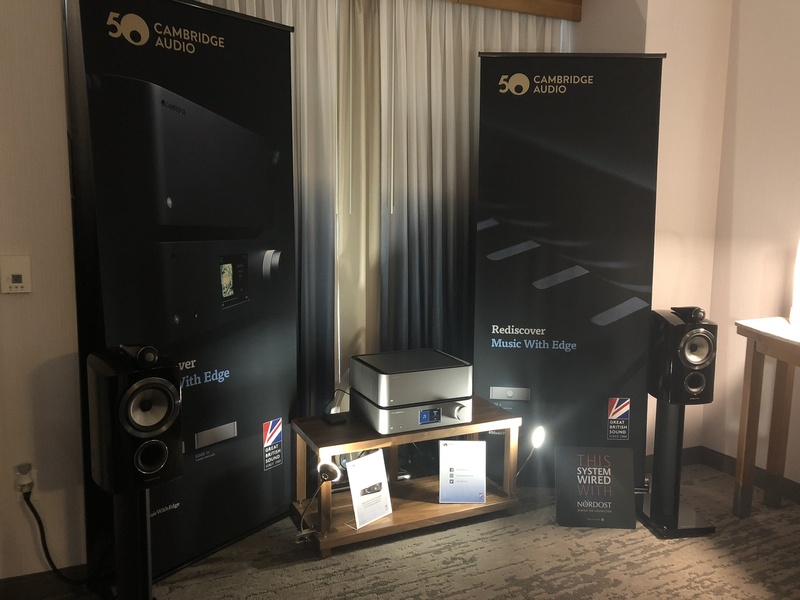 It is vital to make sure your speakers are stable and not rocking on their stands or feet. 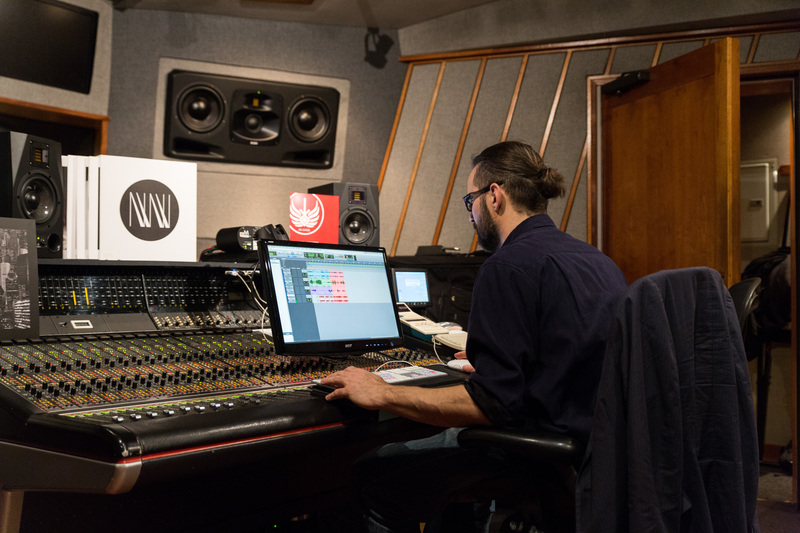 Where you sit in the room is very important in relation to your speakers and room boundaries. 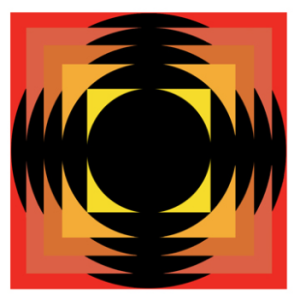 Stereo imaging and frequency response can be greatly affected if this detail is not considered. Normally, it is best to position your listening chair away from room boundaries. 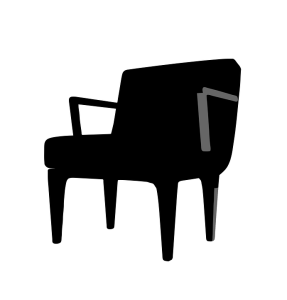 Too close to the back wall can result in boomy bass, but be careful, placing your chair two-thirds back from the front wall can make the system thin and unnatural. Make sure to try a few locations to determine what’s best for your unique space. 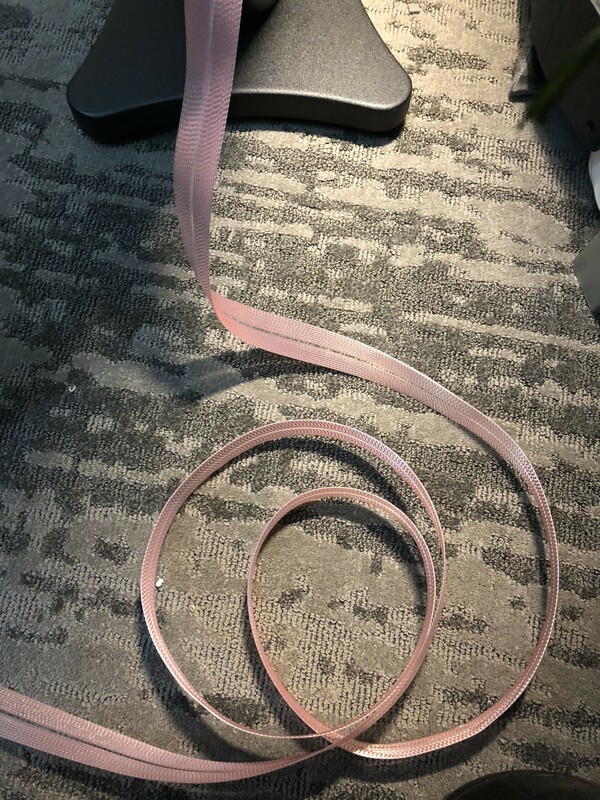 Depending on the season and your location, static charge build-up on components, cables, carpets, and speakers can be a real problem. 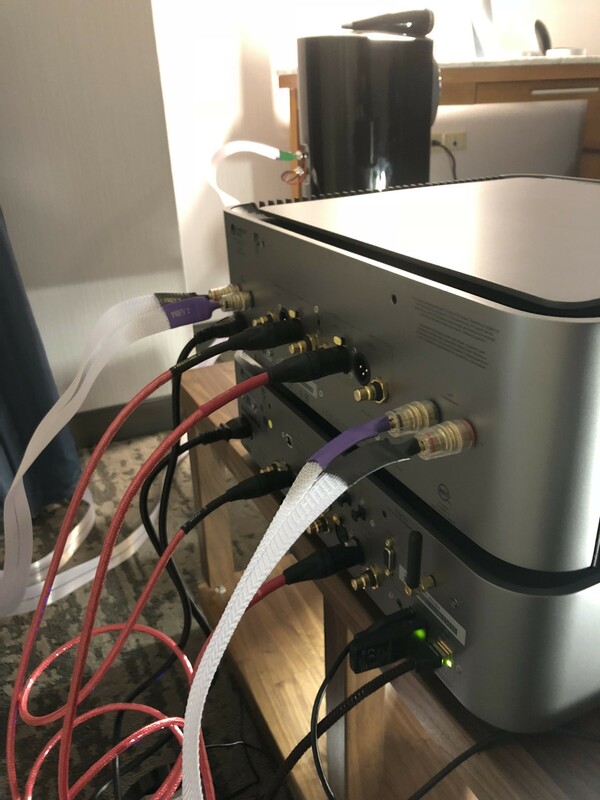 Both static charges from components, using digital circuitry that scrambles their microprocessors, and cables, attracting dust and dirt that affects their signal transfer, need to be eliminated for good performance. Nordost’s Eco 3X is an effective tool to remove static build up. If you’re playing dubstep at club levels in a large room but are using small, stand-mount speakers, you’re going to be an unhappy camper. Conversely, large floor standers in a tiny room will be just as problematic. 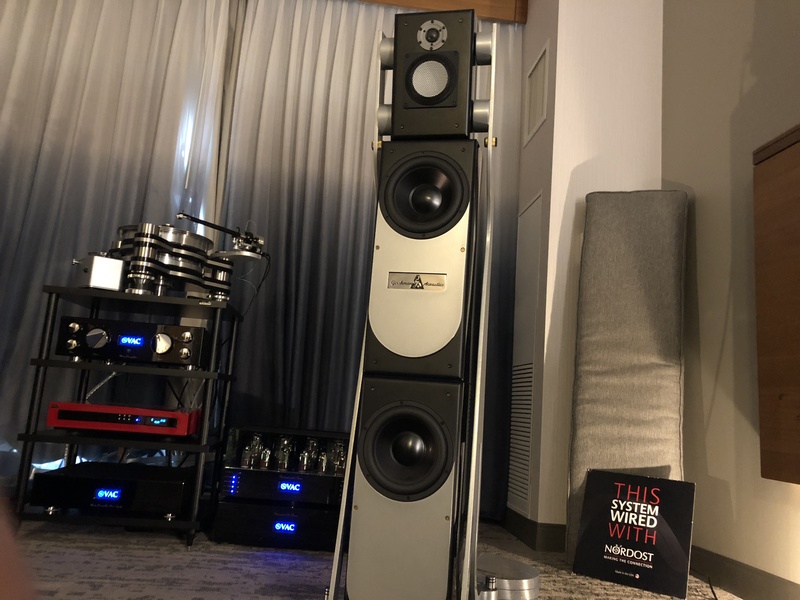 Properly positioning your speakers, relative to walls, your listening chair, and other objects in your room, will be critical to your listening experience. Professional help from a trusted dealer can help you optimize your set-up with these variables in mind. 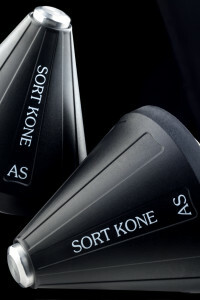 For more information, take a look at at our “Speaker Placement in 5 Easy Steps” blog. 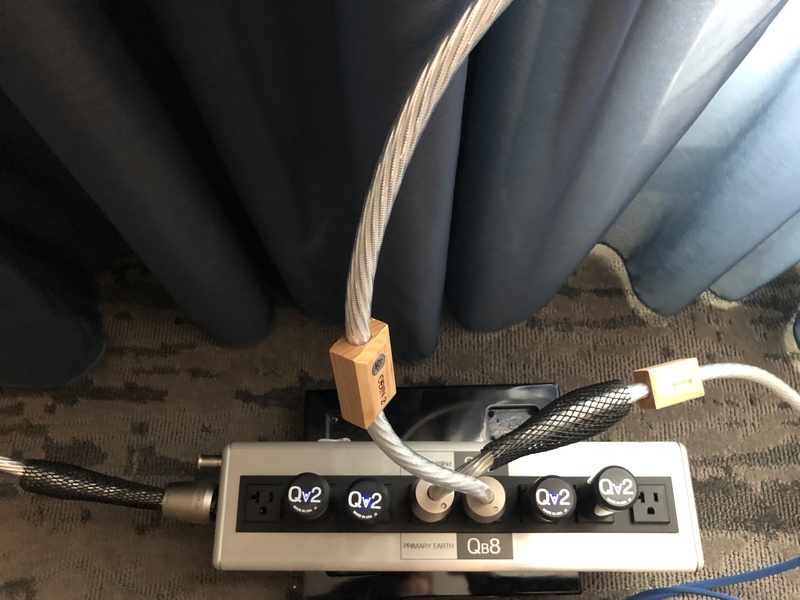 One can hardly over emphasize the importance of system grounding. The advantages of a dramatically lowered noise floor have to be heard to be fully understood. 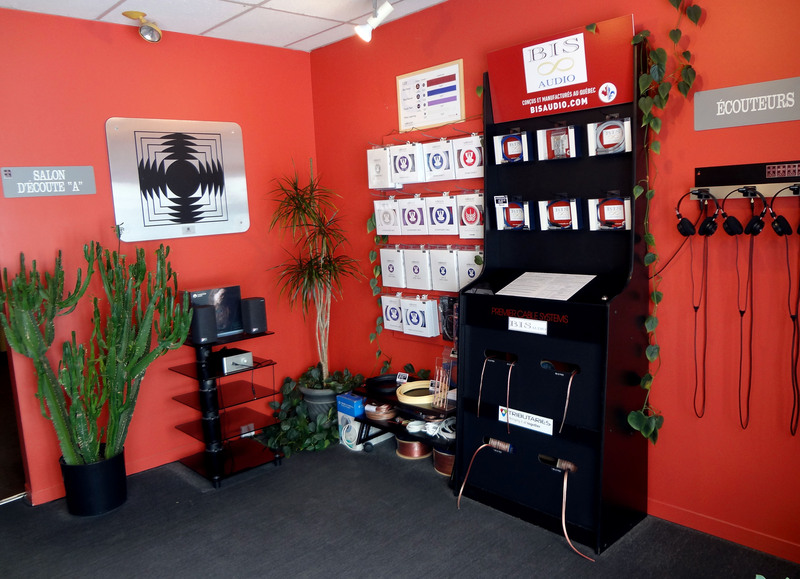 Greater dynamic range, and the ability to hear nuances that are often buried in electrical noise, are some of the greatest benefits of proper grounding. If you can’t practically install a local grounding rod into the earth, there are solutions available that can provide an artificial earth ground for your system. 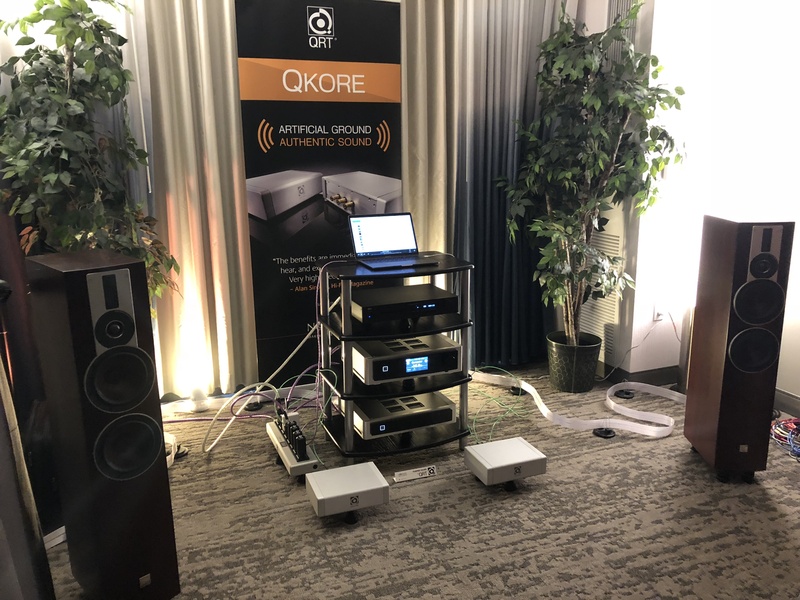 Nordost QKORE Ground Units allow you to enjoy proper grounding, hassle free. All electrical contacts can be subject to corrosion over time. Keeping these contacts clean and free of oxidation is very important to good signal and power transfer. 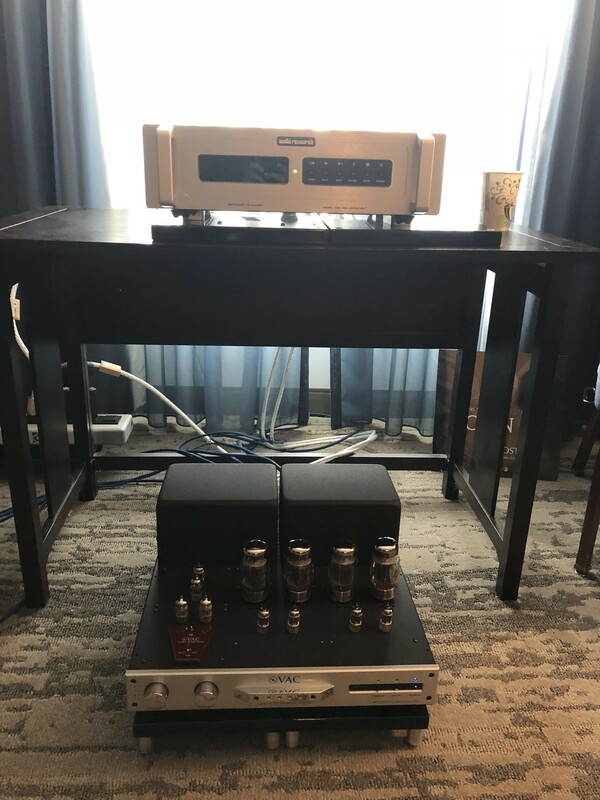 Periodically cleaning and tightening all the connections in your system, from the AC connection of the wall plug, to the pins on a moving-coil phono cartridge, will improve its performance. 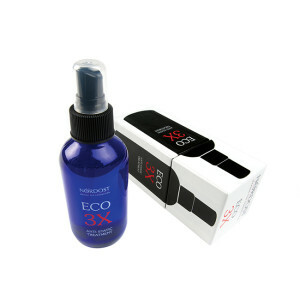 CAIG Laboratories’ selection of deoxidizing and cleaning products work very well on these issues. 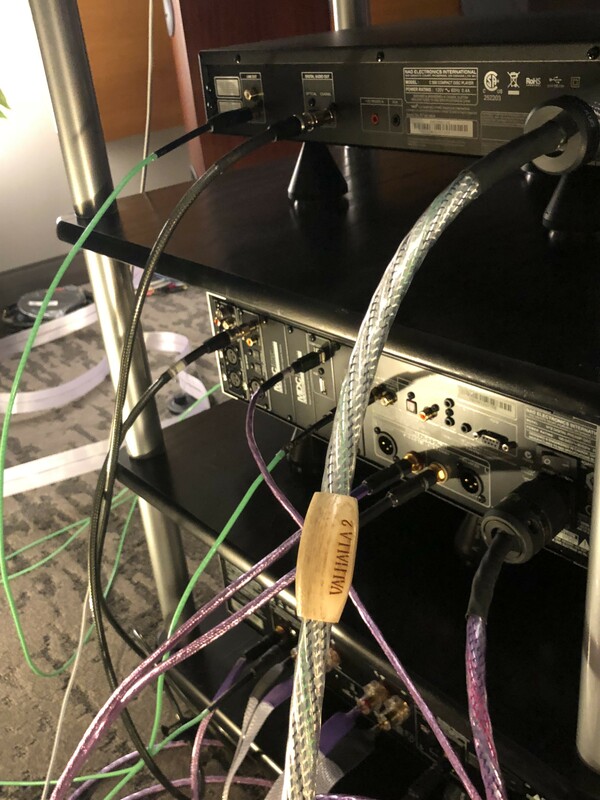 Much has been said about cabling in systems. 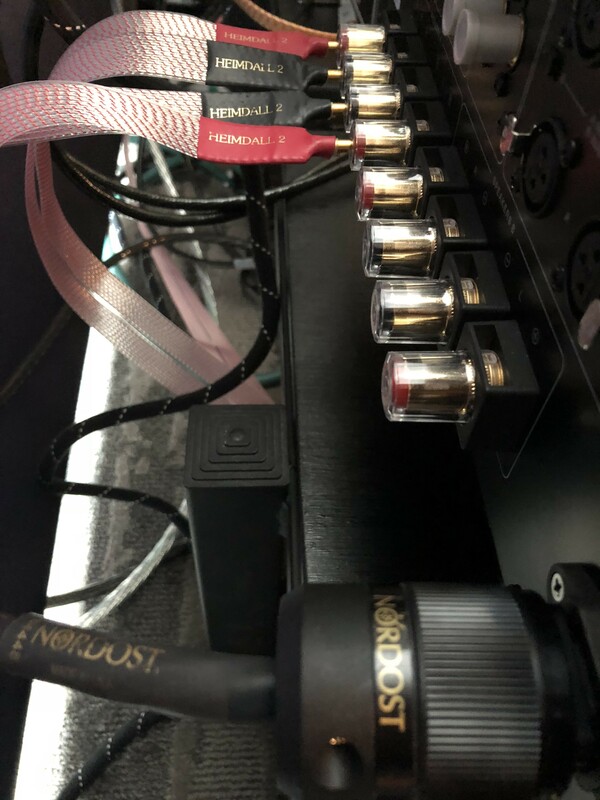 Some have said that, past the most basic level, improving cables will not make any noticeable difference in your system. 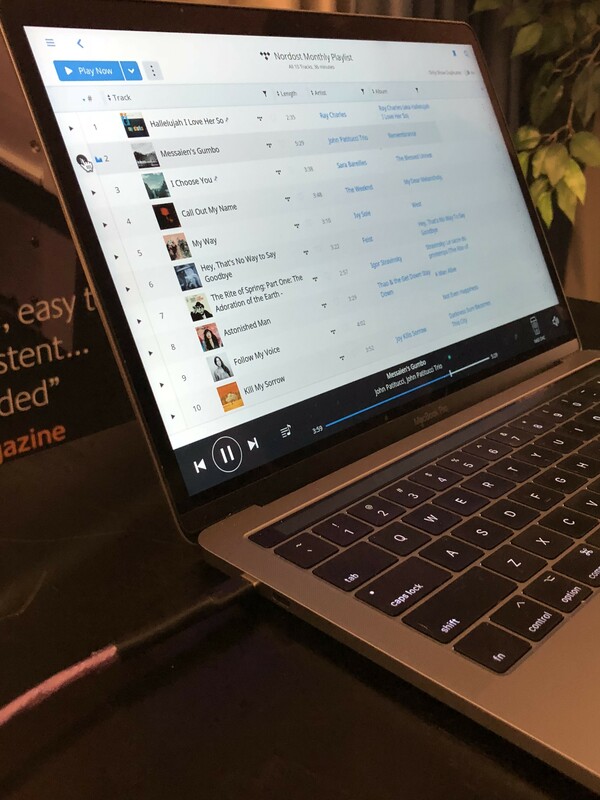 You might as well just go wireless, right? Others know that you’ll never get the most from the components you already own without optimizing their connections. Wired systems always outperform their wireless counterparts. 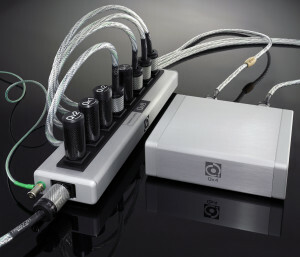 Find a good dealer that will lend you some cables to take home and try in your own system, in your own home. Only then will you hear for yourself how important these critical links in your system are. 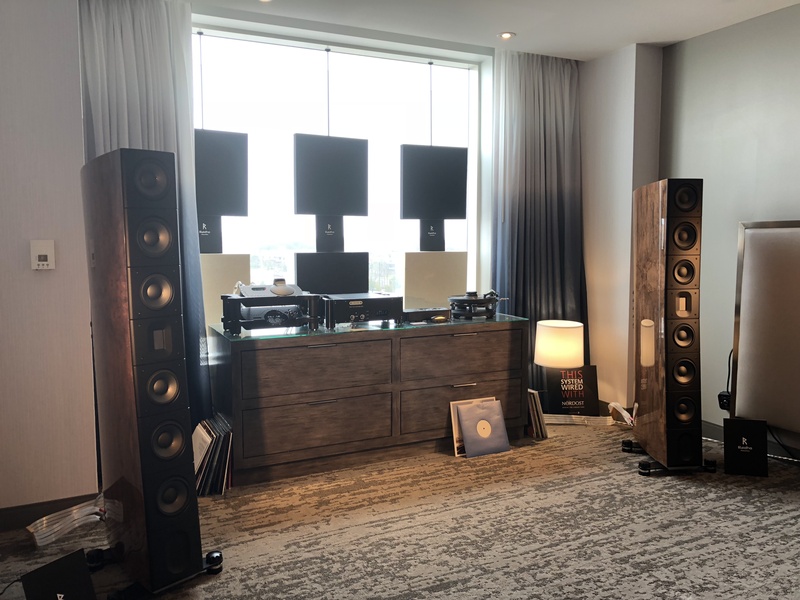 Imagine setting up any audio system in a stark room with no furniture or window coverings. There will be echo and excessive reverb, as well as uneven frequency response and poor stereo imaging, no matter how good the system is. 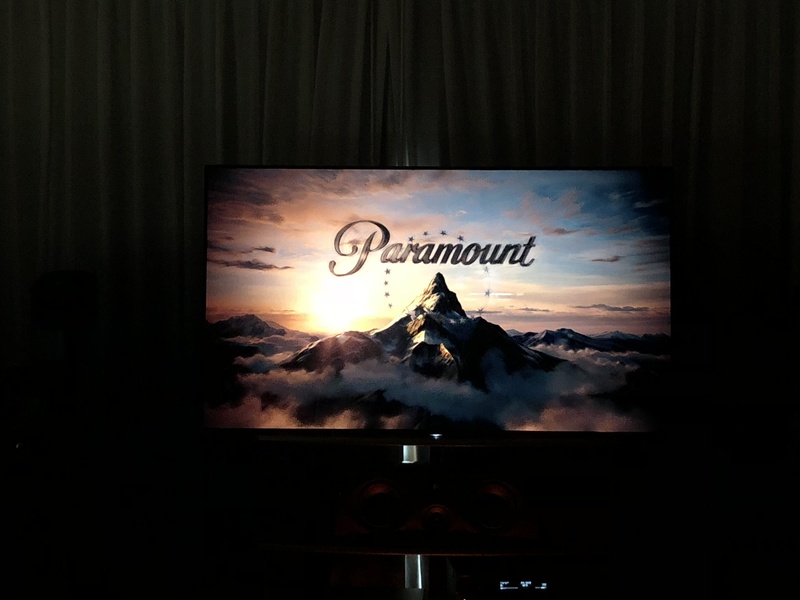 Now imagine a nicely furnished normal room with couches and chairs, framed art on the walls, lamps and drapes, crown moulding, and nice carpeting. 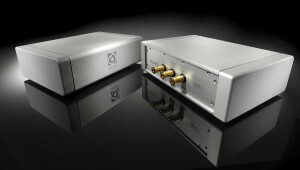 The difference in sound will be startling, whether listening to music or simply carrying on a normal conversation. 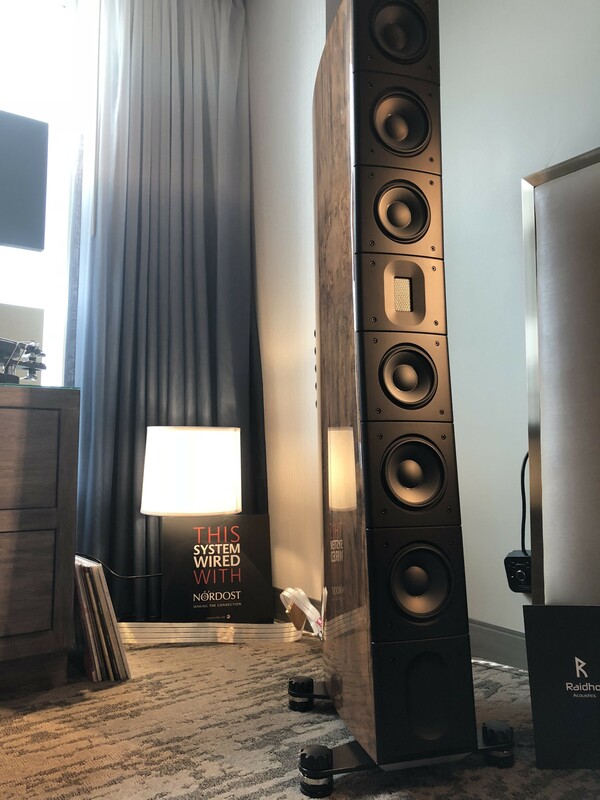 For more problematic rooms, you may need to take the extra step of adding acoustic panels, either diffusive, absorbent, or a combination of the two. Again, your local shop can provide analysis and recommendations for best performance. In order for your equipment to perform its best, it is important to keep micro-vibrations (or resonance) away from the electrical components on any circuit boards. Certain components, like capacitors, are physical devices whose measured tolerance can vary significantly when subject to vibration. 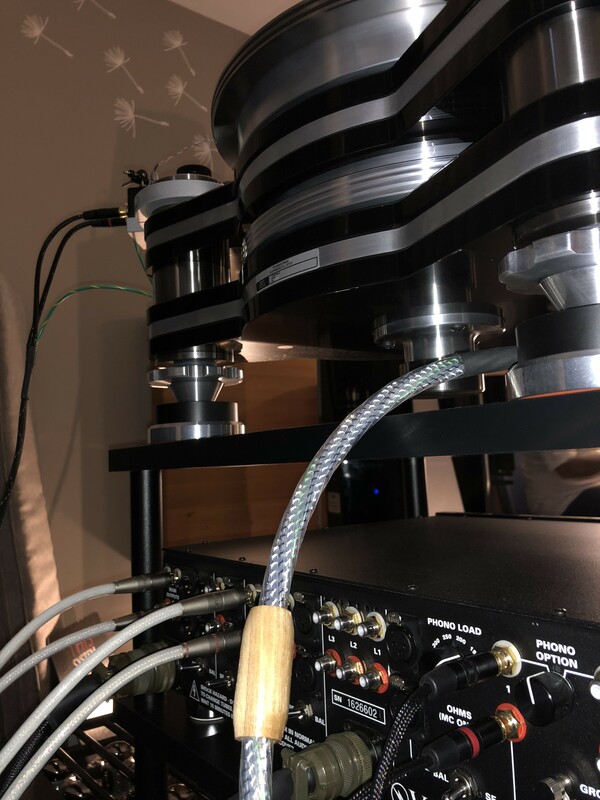 Internally generated vibrations, like those from power transformers or disc drives, and externally generated vibrations, like those from speakers and subwoofers, can both pose problems. 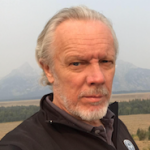 Thankfully there are many solutions in the marketplace to address these issues. 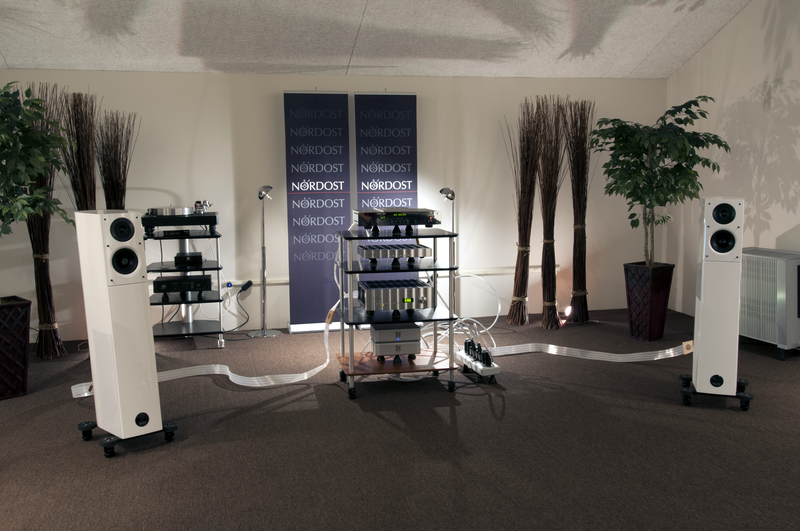 A good choice is Nordost’s range of Sort products. 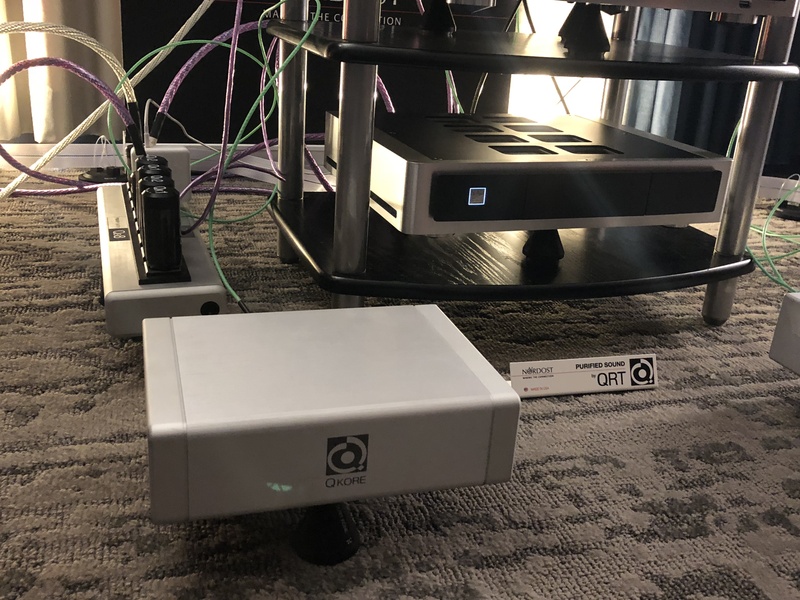 Every bit of power needed to drive your sound system, from the source, to the amplifiers, to the speakers, originates from the AC signal coming from the wall. 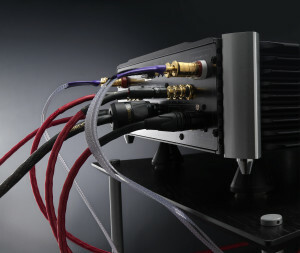 The quality of that power can quite dramatically affect the ultimate performance of your components. Proper power delivery must reduce the RFI and electromagnetic interference that contaminates the AC signal, without limiting the peak current that components require. 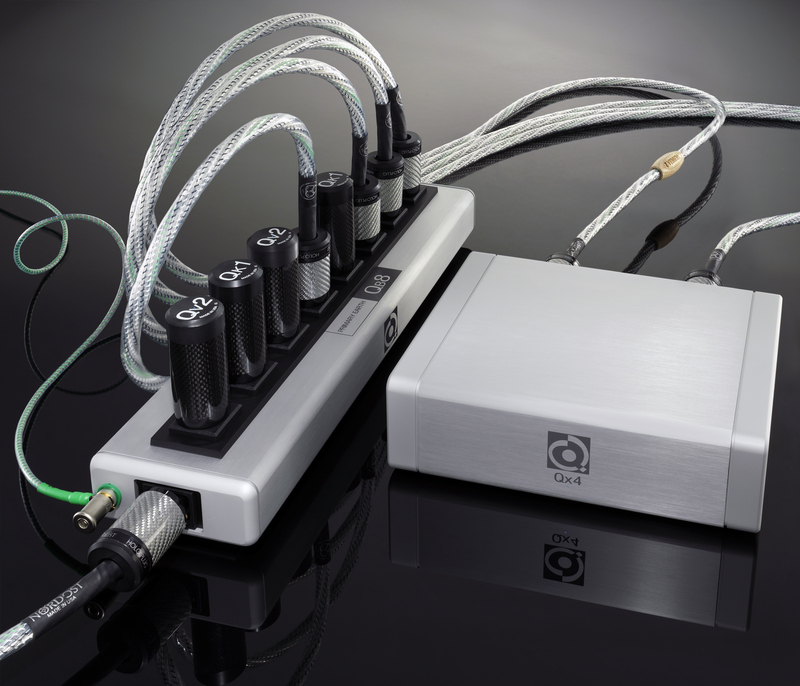 Nordost QRT products can be very effective at establishing this balance. 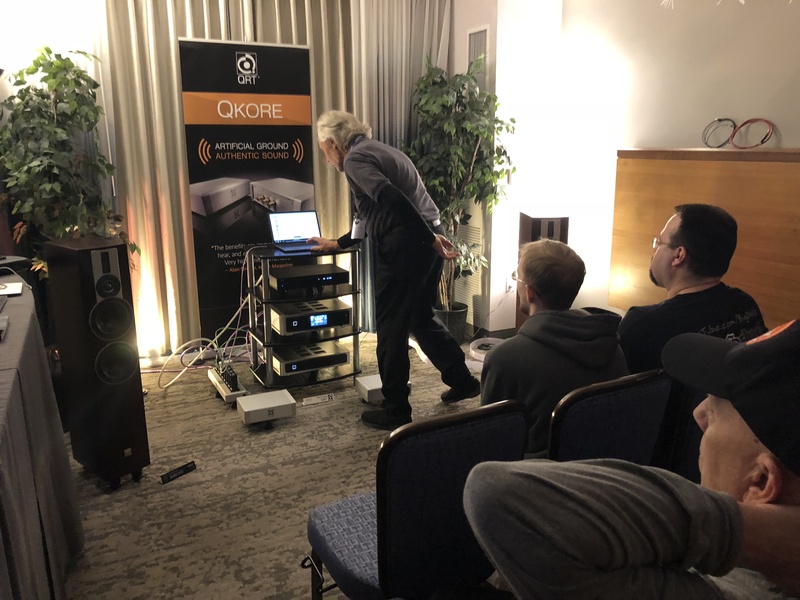 Whenever you see one of us Nordost folks giving demonstrations at HiFi shows all around the world, know that we take all of these points and more into consideration when setting up our systems. 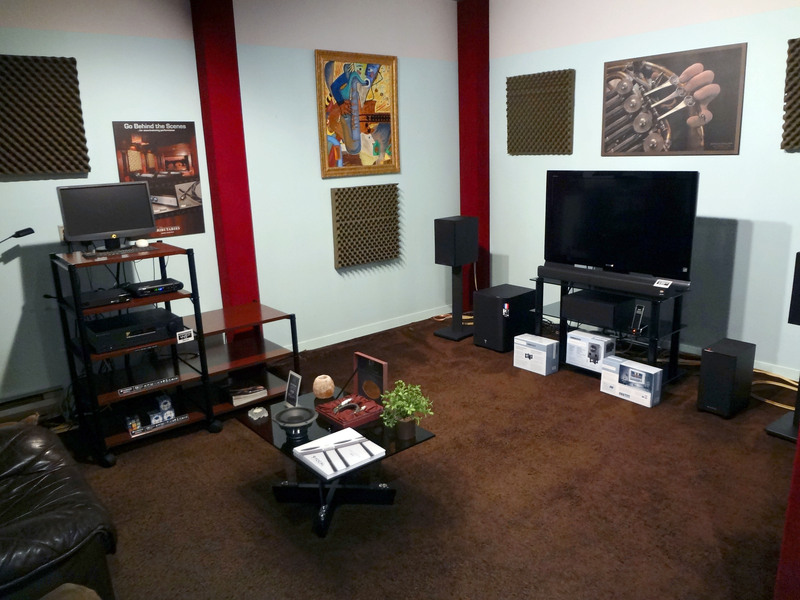 Stop by the Nordost demo room next time we’re in town, and let us show you what we mean! For more information about tweaks you can make to improve your system, check out our “Tiny Tweaks, Big Pay-Offs — Simple Adjustments That Make a Difference” download HERE. Nordost is headed to High End 2018 in Munich! 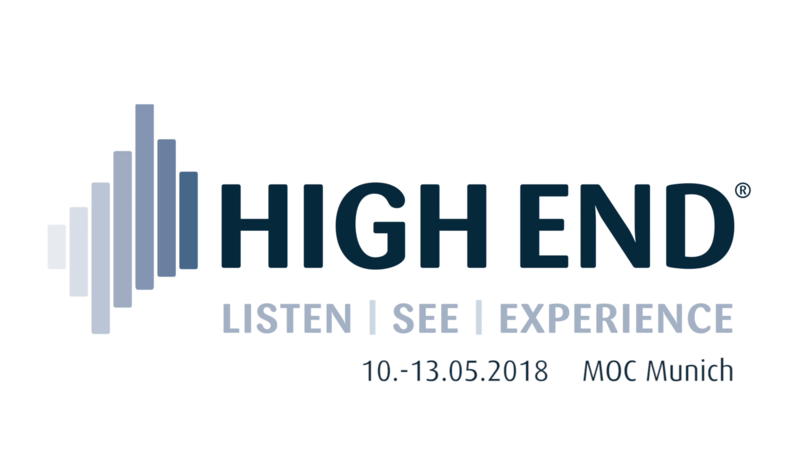 Nordost is thrilled to be exhibiting at the High End 2018 show in Munich once again, held at the MOC May 10th – 13th. 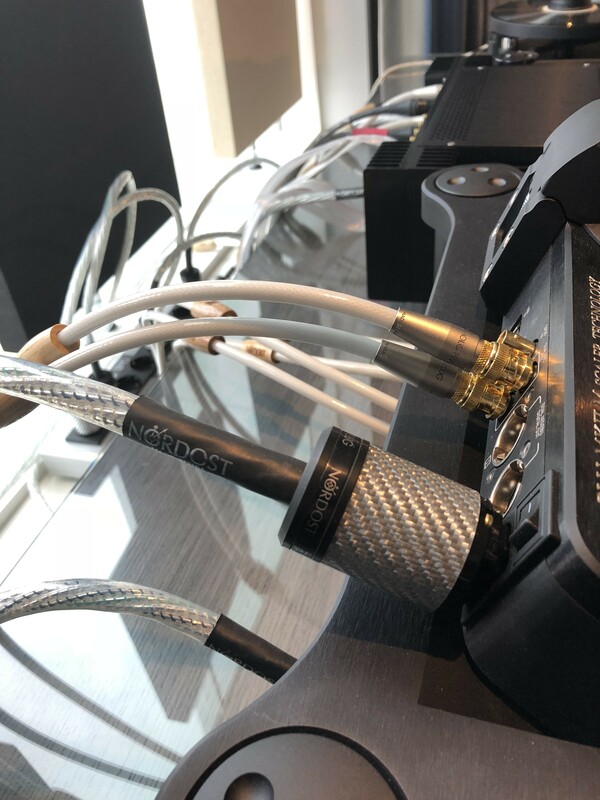 Be sure to visit us in (Halle 4) Atrium 4, Room E114 to hear live demonstrations and cable comparisons, featuring Nordost’s extensive range of products. 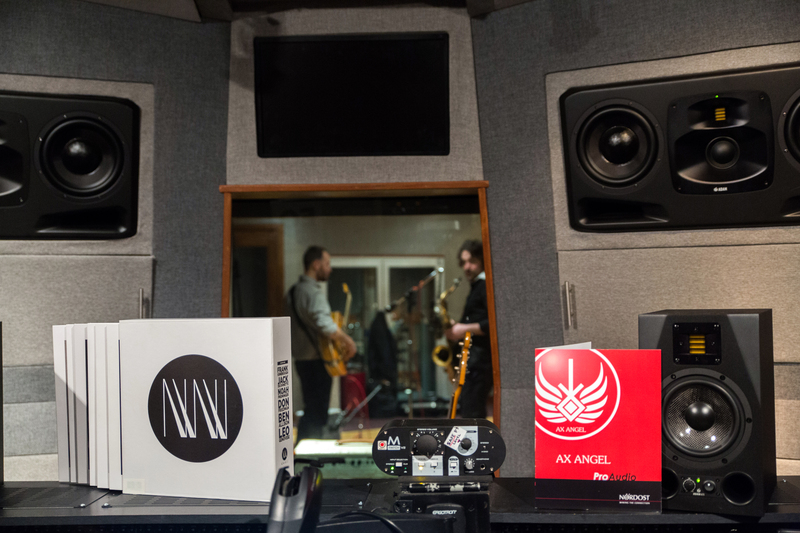 In addition to our demonstrations, this year we will be spinning LPs produced by our friends at Newvelle Records, an exciting new company who create original, high quality, vinyl recordings, which are distributed as seasonal subscriptions. Join us in what will prove to be a very exciting show.